I have always had great service at Summit. Dr. Logue and David Elkins are always very direct, prepared and knowledgeable about what needs to be done to restore my kidney health. Luckily, I don’t have kidney stones too frequently but they are there when I do! Dr Smith is always very attentive to needs and concerns. Everyone at Summit Urology is always very professional, nice, and caring. I haven't found any other urology practice that seems to care about their patients as much as Summit! Dr. Logue is a great doctor! David was extremely helpful and understanding. The office worked me on a Friday to address my issues before the weekend. Dr.Smith&PA Elkins and all the staff are a fantastic group! Very nice staff, they listen to your concerns and are very flexible with appointment scheduling. Dr Smith and staff have been amazing as they cared for my Kidney stones and Prostate Cancer. I couldn't have asked for better, more professional care. 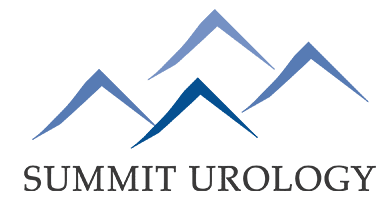 Strongly recommend Summit Urology and their wonderful, caring staff! I have had to get follow ups for few years. The Dr's and staff are great. Dr. Smith is very kind, caring, and thorough. I always get first class treatment at Summit. Everyone is always helpful as soon as I walk in. Communion between Dr. and scheduling staff could be improved. Scheduler was uninformed that the blood draw of my last visit was to be read before further tests were to be done. Otherwise the visit was good. Everyone here at summit is very helpful and glad to have Dr. Elkins as my Dr. I have reoccurring UTIs. The last one started 2am Sat. I took OCT meds until Monday morning. They worked me in on Monday. I always feel they are concerned with my situation and appreciate their prompt service.